St. Matthew’s Episcopal School is pleased to offer an intervention program for students who need additional academic support. This research-based program is designed to assist learners in strengthening their language/reading performance by targeting skills specifically designed for them, such as: phonemic awareness; phonics; oral reading; fluency; comprehension; and vocabulary. Through this program, eligible students receive additional academic support with personalized intervention strategies to strengthen their academic success and build self confidence. SMES Enrichment classes now include weekly Spanish lessons! St. Matthew’s School is a ministry of the Episcopal Church and we recognize that faith development is important to each grade level. All students participate in daily devotionals. 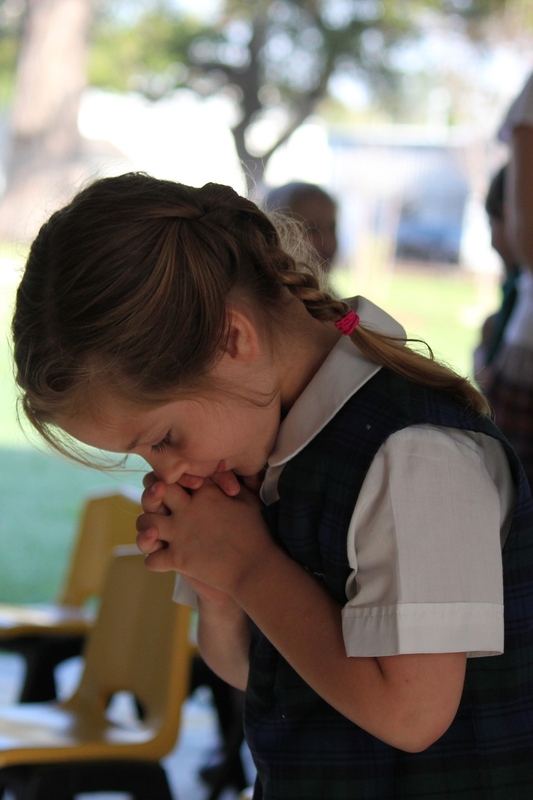 Ours is a Christ-centered school, steeped in the Anglican tradition, while remaining respectful of other religious traditions. Each day begins in Chapel for all students. Our custom is to worship together each Thursday and Eucharist services are held once each month. To encourage students to read, SMES uses the Accelerated Reader program. This program allows students to take a STAR reading placement test, and then choose a book at their individualized reading level. Students can read the book at their own pace, and then take an AR quiz on it. The computerized quiz scores the student’s level of comprehension. AR quizzes can be taken in the student's classroom, library, or computer lab either before school or during recess breaks. Students attend library class twice a week and are taught basic library skills. Other skills taught are: How to search for books using the computer; how to use reference books such as dictionaries, thesauruses, encyclopedias, almanacs, etc. ; the difference between genre’s such as fiction, non-fiction, poetry, folk tales, fairy tales, autobiographies and biographies; learning the different parts of a book, such as table of contents, copyright, chapters, etc. Students in grades four through seven also receive study skill lessons. 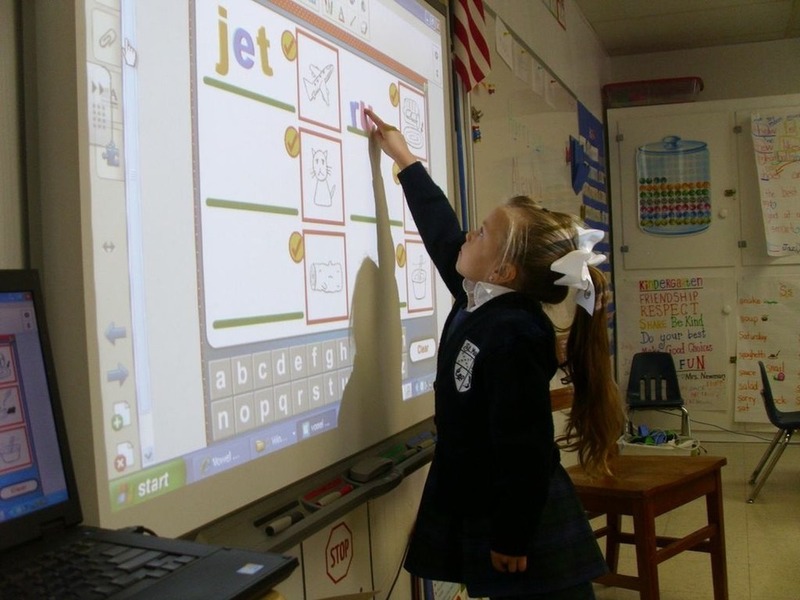 At St. Matthew’s, technology is seamlessly woven into the learning process, enhancing curriculum across disciplines and grade levels, to provide students with the skills to use computer technology in ways that will benefit them now and in the future. St. Matthew’s is committed to providing students and faculty with tools that are representative of the technologically sophisticated age in which we live and maintains state-of-the-art facilities. Our computer and media center has individual computer work stations and a SMARTBoard©. Interactive whiteboard, which help teachers create dynamic multimedia lessons that excite and engage students, are present in every classroom and the library. There is also a 3-D printer! Through very generous donations from members of our parent and school community, St. Matthew's students have access to iPads. The seventh graders will each have their own iPad to use while on campus. Teachers in Pre-K through 6th grade check out sets of iPads for small group instruction and projects. The full-campus computer network is equipped with a firewall to ensure our students can safely navigate the internet. Instructional computer classes at all grade levels allow students to explore a variety of age-appropriate software and learn the basics of Coding, keyboarding, 3-D printing, word processing, Microsoft PowerPoint, Excel and Publisher, multimedia presentations, and use of the Internet. Teachers in the upper grades incorporate research skills and projects that require library and computer lab use in their respective curriculum. St. Matthew’s students receive art lessons every other week. Students use water colors, chalk, foil, crayon, paint and other media to create beautiful works of art. St. Matthew's believes that a general appreciation for and love of music is developed at an early age and includes a fully developed Music Program for all students. Music concepts are further expanded upon in each subsequent grade, resulting in a full and comprehensive music education for each St. Matthew's student. Students regularly attend science lab to reinforce the science lessons taught in class. The hands-on activities allow students to apply methods taught and draw scientific conclusions. 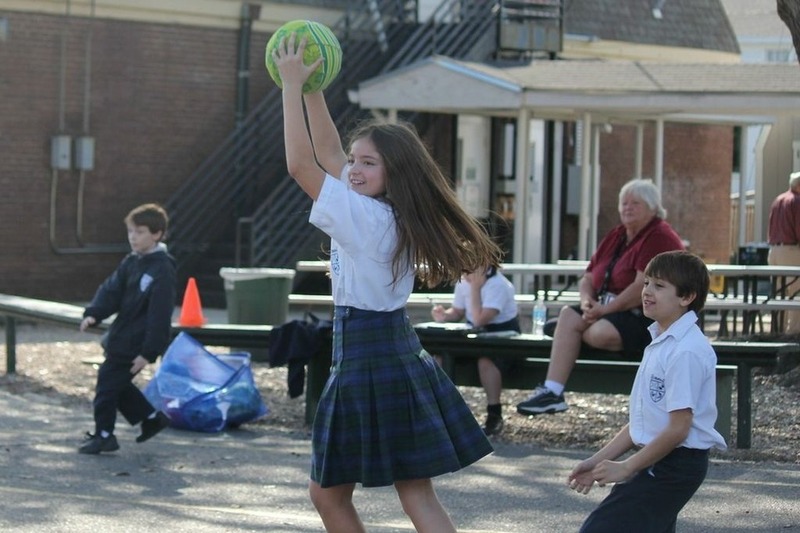 St. Matthew’s Physical Education Program is designed to develop and strengthen the physical, social, and emotional needs of students through their participation in athletic activities. The Physical Education Program encourages students to participate in and enjoy various activities and introduces skills and games to offer a better understanding of a particular activity. Students in first through seventh grade have physical education and health instruction four days a week. It is the primary goal of the Physical Education Program that each child enjoys every activity while participating in a socially comfortable atmosphere. Competition, winning, and losing have little emphasis within the parameters of the physical education curriculum. Fair play and good sportsmanship are expected in all activities. One focus at SMES is service learning. We encourage and provide opportunities for our students and faculty to give, share, and be people for others. Some of these opportunities include a food drive, a coat drive, purchasing gifts to give less fortunate families a blessed Christmas, assembling bags for children in the hospital, Christmas caroling at local businesses, donating to Mary Bird Perkins Cancer Research, making ornaments and decorations for nursing home residents, and donating care packages for those in need. 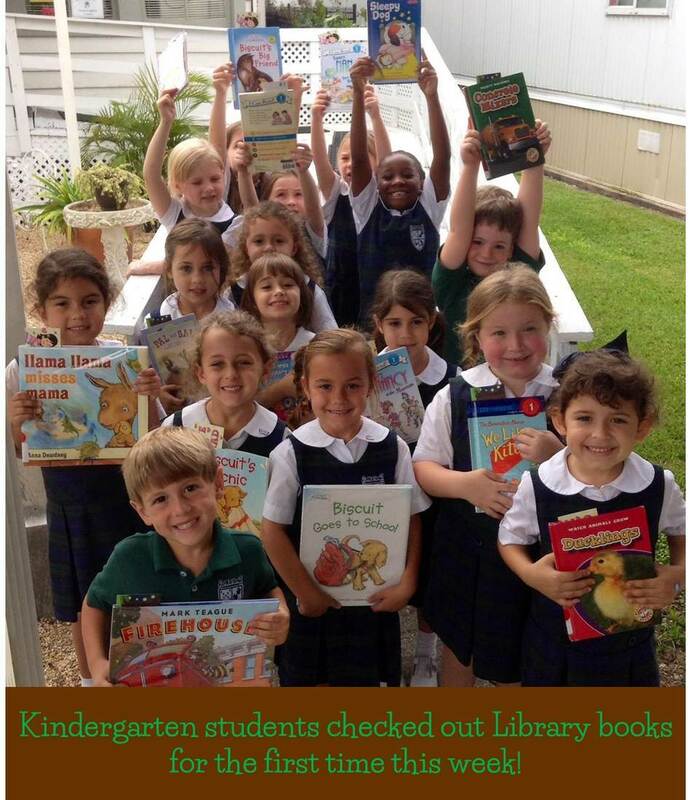 St. Matthew's Episcopal School uses Renaissance Learning's Accelerated Reader (AR) program. The AR program allows SMES students to become proficient at reading at their own pace. The nature of the self-paced program provides students with an individualized enrichment experience. Accelerated Reader’s advanced technology helps enhance essential reading skills for every student by personalizing reading practice to each student’s current level and helps build a lifelong love of reading and learning. AR can provide daily information about a student’s reading and makes it easy to continuously monitor comprehension by providing immediate feedback on the reading and vocabulary progress of each student. Through Accelerated Math (AM), students practice math skills and show proficiency by mastering objectives at an individual pace. Technology allows for quick and easy scoring of math assignments. Similar to AR, AM is self-paced and provides students with an individualized enrichment experience. Upper School students also have the opportunity to participate in 4-H, Upper School Government, and Drama Club throughout the year.